Type 89 I-Go for GF9 - Tanks! Ok, let's move away from cold frostbite Europe and head over to the orient, full of sushi, wasabe sauce, green tea and sake. I mean this is the first Japanese tank I have penned down - the flimsy Type 89 I-Go. The text is in Russian, but I have outlined the column with the gun in question. 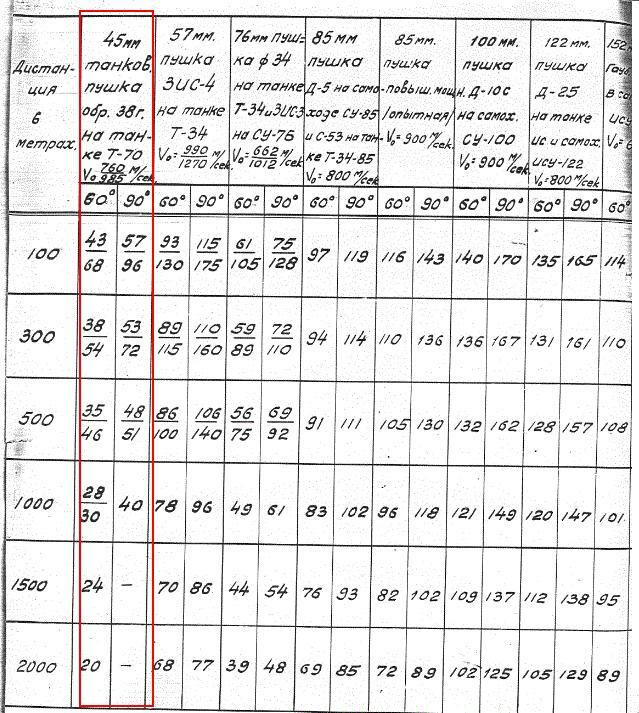 Obviously the left hand corner is the ranges in meters, and the highlighted column show the mm of armor penetrated, the left number is for 60 degree angle of incidence, and the right hand number is for head-on 90 degree incidence. This is just to show that the 57mm Japanese gun has less penetrative power than the 45mm BT-7 gun, hence why the reduced firepower to a 2 on my designed card (in comparison to my number 3 for the BT-7, see previous post). That one out of the way, the next thing was me putting down slow - yes it was rather so, having speeds of only 16 km/h on roads. 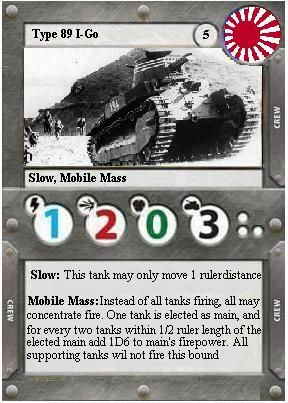 Japanese tactical doctrine stresses the utilization of tanks in what is termed a "mobile mass." In operations in which they are committed in such a fashion tanks constitute the main fire element in what is essentially an attempt to attain a decisive victory in one stroke. Ideally, tanks employed in "mobile mass" should be directed against weak spots in the enemy's lines, according to Japanese doctrine. With the constantly increasing efficiency of antitank guns, which threatens to overbalance compensating improvements in tank armor, the element of surprise becomes progressively more important. A Japanese tactical treatise says that "the essence of tank warfare is to take the enemy by surprise and assault him suddenly with concentrated power." Now, this sort of sound like the Soviet "Coordinated Fire", however, I wanted to create something different, and at the same time nudge the Japanese player to use densely packed "mobile mass" formation, hence the rule as outlined. So there you have it, obviously some compromises had to be made to have it a playable tank, and not a pile of metal junk - need to keep in view that it was already obsolete at the outbreak of WWII, and they suffered heavily from their lack or armor and gun penetration power. If you are reading all of this and you have any criticism or suggestions, write them down and I will happily discuss if anything needs change. Next on line will be Type 97 Chi-Ha tank, after which I plan to "go back to the USSR" to quote the beetles and complete the cards for KV-1 and KV-2, so stay tuned. Re: Type 89 I-Go for GF9 - Tanks! 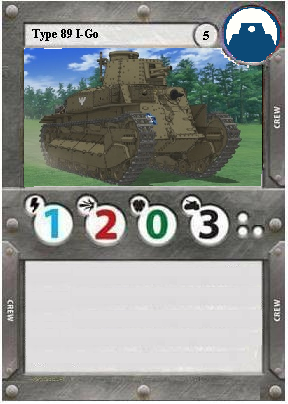 Got rid of the slow and mobile mass rules - just a blank tank (actually got rid of the slow to make it fun and more compatible with the anime - so some technological discrepancies, but yeah, guess play as you see fit really). Also I am updating the supplement in the other thread with some additional rules if interested - I am adding scouting rules.